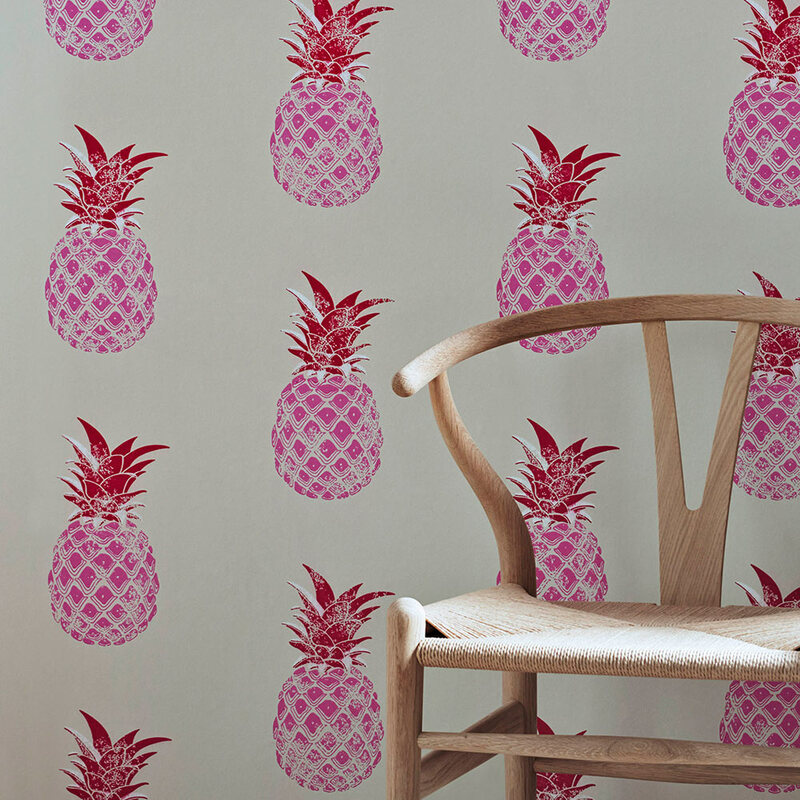 Symbolising friendship, welcome and hospitality, the pineapple is making a big splash in interiors right now. We love the unexpected red and pink colourway of this striking wallpaper, conceived by talented duo Vanessa Barneby and Alice Gates of Barneby Gates, £81 for a 10-metre roll. Nothing conjures a tropical feel more than a hit of sunshine yellow. And all the better if it takes the form of a modern classic that’s made to withstand outdoor elements too. 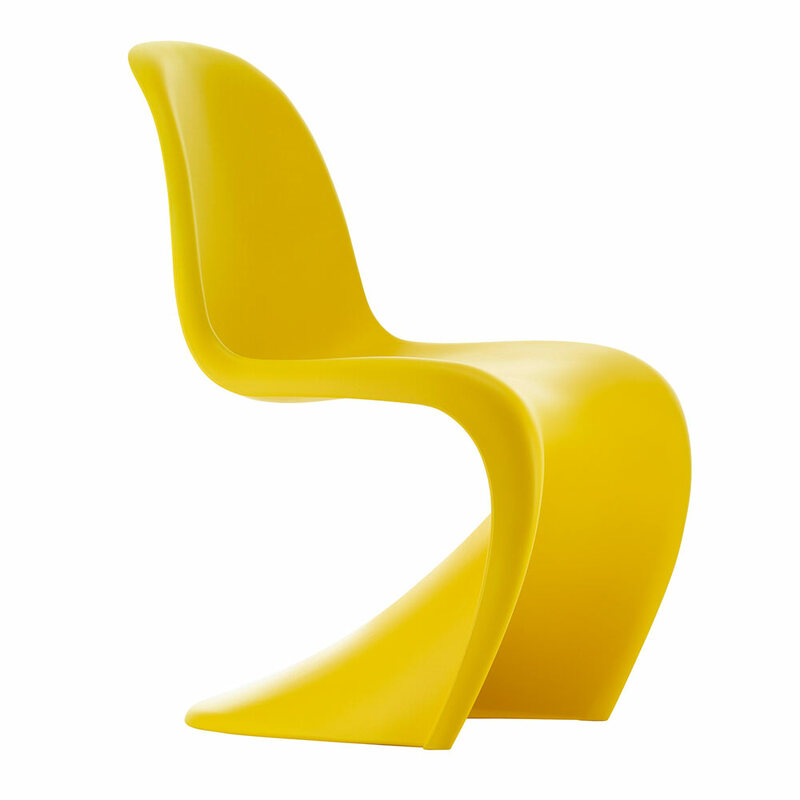 Vitra’s Panton chair in Sunlight is just as at home on the terrace as it is indoors. A multi-purpose dose of summer. £210, John Lewis. We love the playful, irreverent nature of House of Hackney’s vivid designs, and this retro-style lampstand complete with jungle-inspired shade will introduce an on-trend tropical note. 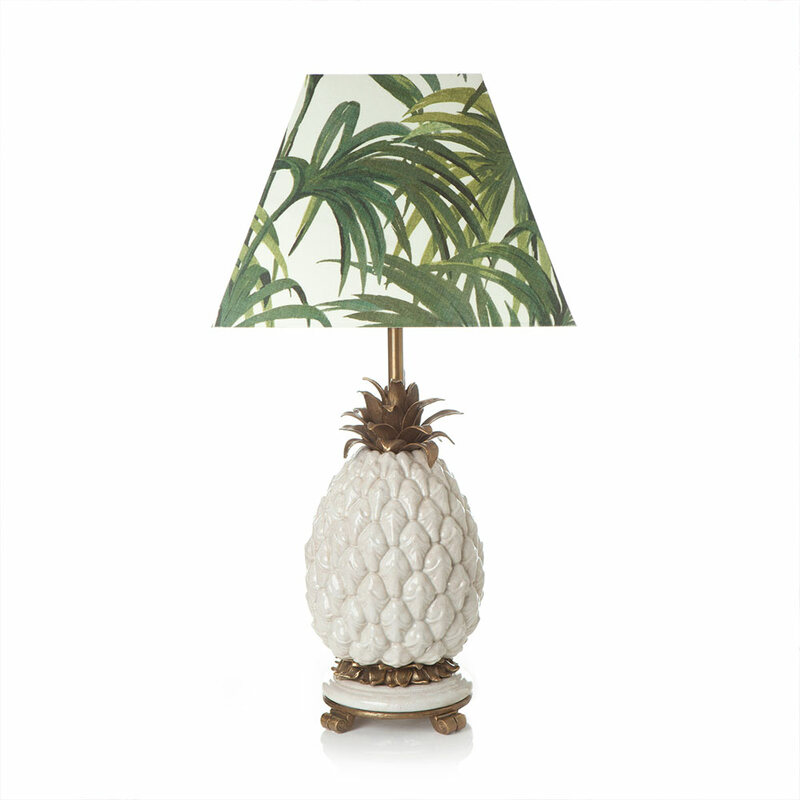 Ananas Pineapple Lampstand, £475 and Palmeral Daley Lampshade, £130. 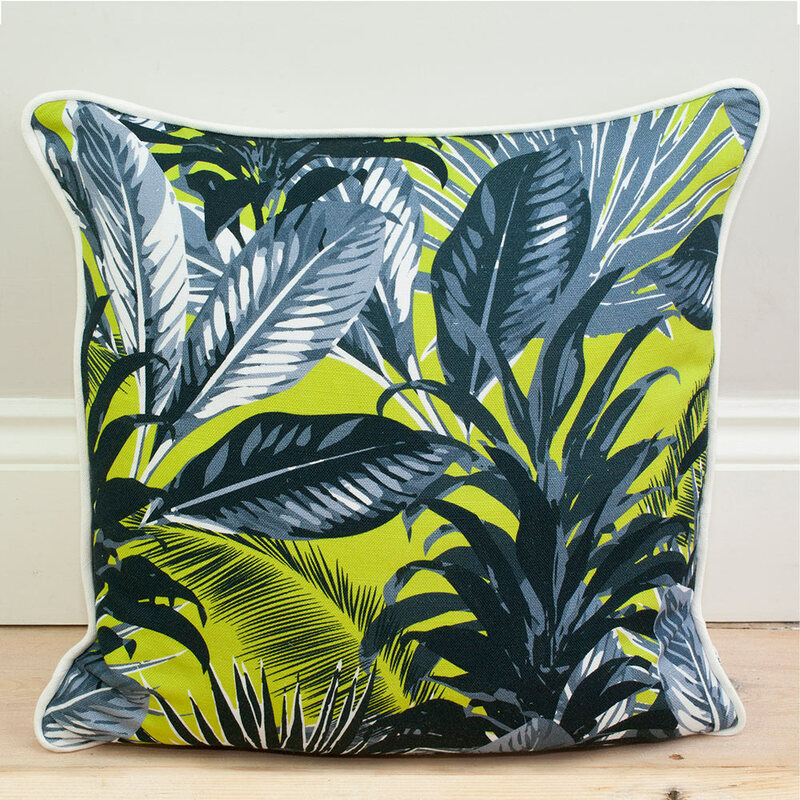 A bold jungle print cushion is the perfect way to introduce a tropical pop to an otherwise muted scheme. Try a classic colourway, such as the greys and yellows of this vivid cushion, £35, by Little Paradise at Notonthehighstreet.com. An easy way to pep up a monotone sofa. Botanical dinnerware packs a punch inside and out. 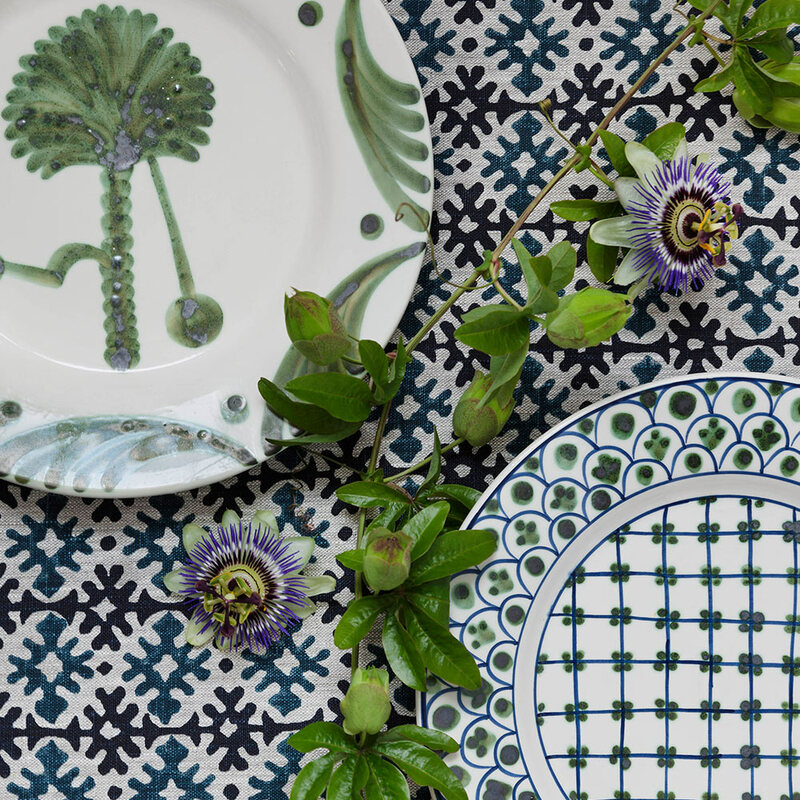 For something really special, we’re wowed by Irving & Morrison’s handmade Portuguese ceramics, which are almost too good to dine from. Try layering them on top of a vibrant tablecloth in a complementary colourway. £57 at Lorfords.